Samsung Galaxy S10 have gotten a nice design which will be release soon with a special version, as we've shared with you guys in the previous post though the full details wasn't revealed and up till now nothing much to share. Don't forget this is still Galaxy S lineup, but the most amazing is that Galaxy S10 special edition will be coming with six cameras in total which we have not seen in the previous design. We have two front and four at the back which will be offering "richer photos and better spatial perception." I know some folk will be expecting the normal flowing notch trend but it seems Samsung will be disappointing it fans on that. This special edition Galaxy S10 will be release in an upcoming event in mid-February, 2019 with 5G network. 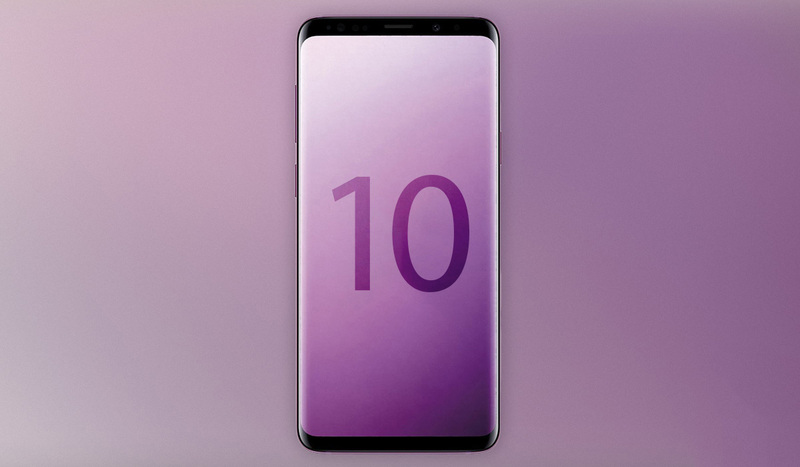 It screen offer a 6.7-inch, which would be larger than the 5.8-inch and 6.4-inch screens that the other Galaxy S10 models are expected to include. This device's spec list will also allegedly include 5G connectivity, and its codename is said to be "Beyond X". Galaxy S10 is really cool standard device for those folks that love better stuffs especially talking about specs its really so cool, first instance quickly looking at the 5G network which will be offering a speed of light network. Mind you this will be coming with total six camera and also a nice screen ratio. Wrapping it all, I know some fans are expecting us to talk about camera setup but its so disappointing we couldn't talk about that for now, if you've ever lay your hand on the late S9 and S9+ then you'll know what it camera offer and greater to be expected in S10 and it should not be expected to be cheap.